Updated for 2019 by Robert Bell, traveler and business analyst based in Bolivia. All prices updated + the latest on the economic situation in Argentina. South America is an amazing continent to travel on a budget, though you would be wrong to assume that every country in South America is cheap! The past year has seen weakening currency in some countries (particularly Argentina), though prices have also risen at the same time. The least expensive countries have traditionally been Peru, Ecuador and Bolivia, with each attracting large numbers of budget travellers, followed by Colombia which is more or less mid-priced. Countries like Brazil and Chile are relatively more expensive, sometimes approaching Western prices. 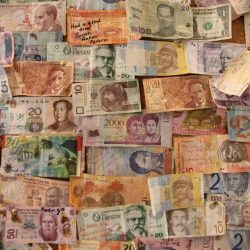 If you’re travelling across South America, a good rule of thumb is that you’ll need about $1000 a month, though this depends greatly on which countries you’ll spend most of your time. This backpacking in South America cost overview is based on notes from my own travels as well as up-to-date research. The hostel bed average is based on analysis of listed prices on hostel booking sites. Of course, not everyone will sleep in dorm beds: as a rule of thumb, double this value and you’ll roughly know the cost of a basic private room in a hostel, guesthouse, or small independent hotel, possibly with a shared bathroom. Triple or quadruple the hostel bed cost and you’ll have a ballpark estimate for a mid-range hotel room. About budget estimates: everything obviously depends on your travel style and specific activities. Stay in rural village in Bolivia only to volunteer, and you could spend as little as $15 a day — but this post assumes an average budget travel style, not ultimate shoestring travel. As always, your mileage may vary. Local currencies in this post are converted to EUR and USD automatically based on today’s exchange rate. Colombia is mid-range by South American standards — not the cheapest destination but certainly not the most expensive either. The falling value of the peso also makes it cheaper for foreign tourists than it was just a few years ago. The priciest location in Colombia is the beautiful and historic colonial city of Cartagena, as it is the most touristy place in the country. Beyond this, there are some expected price differences between the cities like Bogota or Medellin and the countryside. Activities are quite affordable by Western standards. For example, a paragliding session in San Gil costs 60,000 pesos ($19 or €17) for a short flight and 170,000 pesos ($54 or €48) for a longer one. An hour-long private salsa dancing lesson in Medellin costs around 50,000 pesos. Museum entry is often free or only a couple of thousand pesos. Colombia is twice the size of France and bus travel is moderately expensive, so if you will be moving around the country a lot then this will add to your expenses. Viva Colombia is the main budget airline and often has special offers that could work out as good value. For more, read my Colombia budget travel guide. Note: Ecuador uses the US Dollar as its official currency. Ecuador has a fairly low cost of living. It is astonishingly diverse and interesting but it’s also a relatively small and compact country, which reduces the need to spend on long-distance transportation the way you will in neighbouring countries. Activities are pretty cheap here. For example, a round trip on the stunning Devil’s Nose train will cost $40 (€36). Hiking trips to volcanoes and mountains usually start at around $40 (€36), with bigger groups getting better rates. In terms of accommodation there are ample cheap private rooms to be found in Ecuador, and often the price difference between a dorm bed and a basic private is minimal. Basic private rooms cost between $10 and $15. The one thing that can really tip the scale is visiting the Galapagos Islands. This is comparatively expensive as for a visit to these islands you should budget at least $1000 per person (€890), though probably a bit more. Peru is still pretty affordable with a lot of great value accommodation and food in the amazing places that every backpacker wants to visit; Cusco, Lima, Nazca, Lake Titicaca, etc. However, a resurgent economy means that it is no longer quite the cheapie destination it used to be. Your biggest expense is likely to be a Machu Picchu Inca Trail trek, if this will be part of your itinerary. This will set you back at least $500 (the price is almost always quoted in US dollars) if you book in Cusco and potentially a lot more if you arrange it elsewhere. It is worth bearing in mind that the pricier agencies may offer better food and a more comfortable camping experience. Also, many backpackers view $500 as being a good price for seeing one of the world’s most incredible sights on a multi-day trek. The Inca Trail trek is limited to 500 persons per day and needs to be booked well ahead of time; alternatives such as the Salkantay Trek are cheaper and/or easier to arrange. Bus travel is not only quite affordable but can be very comfortable as well. Travelling by bus from Lima to Arequipa for instance costs around 135 soles ($41 or €$36) for a ‘full cama’ (full reclining luxury seat) and around 100 soles ($30 or €$27) for a regular 2nd class ticket. Many of the costs in Peru will be far higher if you book online while abroad. For example, a short flight over the mysterious Nazca Lines could cost you over $250 if you book it from abroad, but well under 270 soles ($82 or €73) if you do so in Nazca. You should bear in mind that the overall cost of travelling in Peru can be high due to the cost of the main attractions, which some travellers visit in very quick succession. A short loop around Lima, Nazca, Cusco and Machu Picchu is likely to cost you more than the same amount of time spent in neighbouring countries. However, it makes for an incredible experience with a lot of fascinating culture in a short period of time. The daily backpacker budget listed above assumes a tight itinerary hitting up all the major attractions. You can, however, spend much less on average if you’re slow-travelling through Peru and including more local experiences. For more, read my Peru budget travel guide. Travelling in South America can be cheap — that is, if you don’t run into any unforeseen situations. Travel insurance won’t in itself protect you from everything, but it can minimize the considerable financial risks of travelling. I recommend getting a policy with World Nomads. They’ll cover you for any theft, emergency medical expenses, personal liability, cancellation, and much more. You’ll also get a 24-hour helpline with worldwide assistance. Bolivia is the ultimate cheapie of South America. Although the country’s recent economic progress has seen some prices and the standard of living rise, there are still bargains to be found in food and accommodation. You can go for the very basic approach and make your money stretch a long way, or else pay a little bit more on the higher quality restaurants and hotels that are springing in the most touristy places. Bolivia often has the lowest prices for accommodation and food, especially in poorer places like Potosi and Oruro. But keep in mind Bolivia is not always the most comfortable country. Cities like La Paz and Potosi are rugged and often dreary, with the threat of protest marches and blocked roads almost always present. There are certain tourist activities that you will need to take into account. For example, a popular activity is to ride a mountain bike down the so-called ‘Death Road’ near La Paz, which costs from around 500 bolivianos to maybe 860 bolivianos ($124 or €111) depending on the company and the quality of the bikes. Some of the cheaper companies use old bikes that are probably best avoided on such a demanding and dangerous downhill ride. 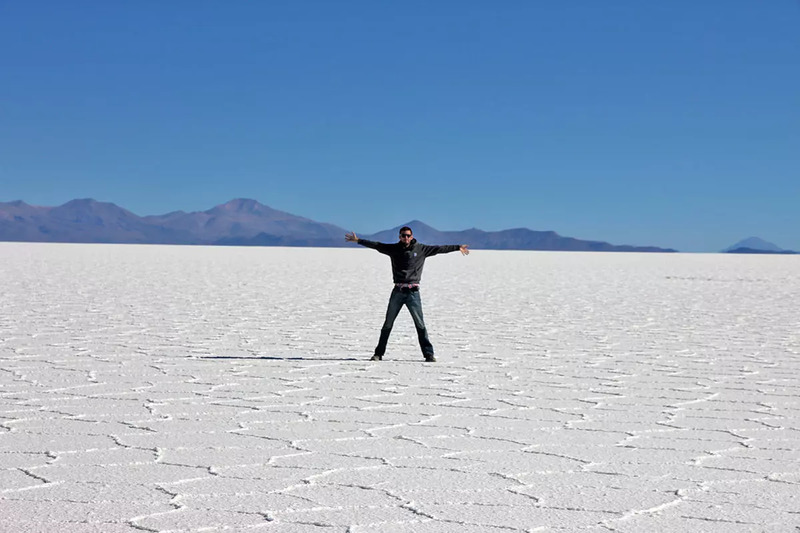 A 3-day tour of the Salt Flats of Uyuni costs from roughly 700 bolivianos to maybe 850 bolivianos ($123 or €106), which is a steal for the incredible experience you’ll get. Take a 3-day tour instead of the shorter 1- or 2-day offerings if you can, as it will be well worth it. Overall, Bolivia is an adventurous traveller’s paradise at knock-down prices as long as you don’t mind roughing it a little at times. For more, read my Bolivia budget travel guide. Argentina has been undergoing some serious economic turmoil for quite some time now. Stability still appears frustratingly out of reach for this massive country, but the truth is that foreign travellers can get a bargain trip due to these difficulties. The country can be relatively inexpensive to travel in now, although prices and exchange rates are subject to constant change. The infrastructure in Argentina is first class and in the past 1 peso was worth 1 dollar, making it one of the continent’s traditionally most expensive destinations. Now, the peso has dropped through the floor, meaning that you can get up to 40 pesos for 1 dollar. Inflation runs at a staggering rate and has left the locals shell-shocked, but as long as the peso stays so low it is still cheap to travel in style here. For example, the food in Argentina is probably the among the best you will find anywhere but an excellent 2 or 3 course set lunch in a good restaurant should set you back no more than maybe 120 to 150 pesos ($3 or €3). 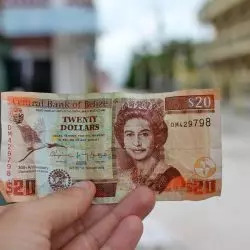 The country’s policies on foreign exchange rates has varied recently, so be sure to check the up to date information before travelling. It used to be that the “grey” rate for dollars was far better than the official one but at the time of writing it is pretty much the same. However, ATMs here don’t always seem to give you a great exchange rate, so taking cash could still be a good move. Buenos Aires is a bit more expensive in some ways, whereas outer cities like Salta and Cordoba are cheaper. Beautiful Mendoza and Bariloche are regarded as the most expensive places to stay. Overland travellers beware; distances in Argentina are huge and long bus rides are not uncommon, so be sure to factor bus travel into your budget. For instance, a long trip from Buenos Aires up to Salta will take you the best part of a day and cost you around 2000 pesos ($48 or €43). The good news is that the long, flat roads here mean that you can choose a comfortable overnight bus and save on your hotel bill without too many worries. 2018 has also seen the de-regulation of the domestic airline industry. At the time of writing, you can fly from Buenos Aires to Salta about as cheaply as on that bus trip quoted earlier. Buses that cover the same routes as low-cost airlines are starting to drop in price to meet this new challenge. Entry to the Iguazu Park costs some 600 pesos ($14 or €13) on the Argentine side and you get up far closer than on the Brazilian side (although it is really best to see it from both points of view if you can). Travelling in Argentina is probably the closest that South America offers to the experience of travelling in Europe. Provided that you are smart about how you get hold of your pesos you will see a magnificent country in comfort for a bargain price. While Argentina costs more in absolute terms than some other countries, it also offers some of the best value for money on the continent. The higher end of my daily backpacker budget assumes you will cover many regions of Argentina, rather than focusing only on one or two areas. Chile is the country that most often surprises people. It’s sometimes thought of as a developing country yet a traveller will find that parts of it are very modern and not very cheap at all. If you are on a tight budget, consider cooking your own food rather than eating out. Transportation can be a major cost especially if going down all the way to Patagonia, in which case flying could be a tempting option. If you make it down to the spectacular Torres del Paine National Park then the current entrance fee is some 28,000 pesos ($32 or €28) in the high season and 11,000 pesos ($17 or €15) in the low season. You need to pay in cash. Camping is relatively cheap here but the size of the park means that you are likely to need to pay to hop on a bus, boat or horse at some point. The poorer north of the country is usually cheaper than the south, but overall it is a country where you will want to keep a close eye on your spending. The Uyuni Salt Flats tour can be started in San Pedro de Atacama, taking you across the border into Bolivia. A 3 day tour should set you back from 90,000 pesos to 140,000 pesos ($212 / €188). One place where you will find it impossible to travel on a tiny budget is Easter Island. This wonderfully enigmatic island with its incredible stone moai is officially part of Chile but is very far from the mainland. At the time of writing, only LAN fly there and you will be paying anywhere up to 700,000 pesos ($1,058 / €942) or more for a return flight. Once you are there, you will be doing very well indeed if you manage to keep your daily living costs under 35,000 pesos ($53 / €47). From the dirt poor favelas to the high-rise offices of Rio, Brazil is clearly a country of contrasts and has one of the highest levels of social inequality anywhere on the planet. However, make no mistake; prices in Brazil are close to ‘Western’ prices and you should budget accordingly. 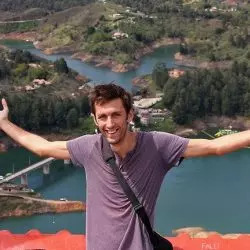 While the north of Brazil (for example around Manaus) is a good deal cheaper, most backpackers follow a trail in the south, either looping back to Rio or Sao Paulo to go home or else crossing the border into Paraguay or Argentina to seek out new adventures. Accommodation and food costs are usually higher in Brazil than elsewhere in South America. Budget sufficiently for sightseeing as well. A cable car trip up to Sugarloaf Mountain to see the bay of Rio de Janeiro costs 71 reais ($18 or €16), which would almost be a day’s budget in Bolivia. Access to the Iguacu Falls park costs 62 reais ($16 or €14). This is well worth it of course, especially if you aren’t going to see the Argentine side. Those on a bigger regional backpacking trip tend to keep up a decent pace in Brazil in order to keep costs down, but then take it easy in one of its neighbouring countries. In brief: prices in Paraguay are very low and you should be able to get by on a backpacker budget of up to $30/day. Uruguay is very expensive; use Brazil’s prices as a rough reference. The trendy resorts on the Uruguayan Atlantic coast – such as Punta del Este and José Ignacio – are gorgeous but the prices are eye-wateringly high. These places are aimed at the local and international celebrities who vacation there, not backpackers on a tight budget. First ask yourself if you really want to go to Venezuela right now, as it’s experiencing a lot of political and economic upheaval. Inflation is rife, certain products become unexpectedly unavailable, and crime is a real issue, making Venezuela far from a mainstream travel destination currently. That said, at the time of writing Venezuela can be mind-bogglingly inexpensive if you bring in hard Western currency and exchange it on the grey market. Some travellers report spending under $10 a day. The situation in Venezuela is highly changeable however. As these countries are the least-visited in South America and completely off the backpacker radar, we’ll will cover them only briefly. All of them are on the expensive end of the scale, with French Guyana being possibly the most expensive on the whole continent (as it is part of France and Euro is its official currency). 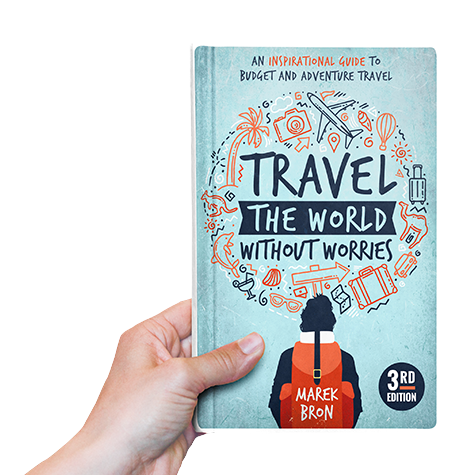 Budget travel is on the whole more difficult in these countries as there is not much of a backpacker infrastructure, which means having to stay in more expensive hotels more often, or having to use taxis where no public transportation is available. Friends of mine travelled these three countries on a budget by mostly sleeping in hammocks, though this was not always possible and some € 50 / night hotels had to be included as well. Hey Jesica – no, you’re not missing something! Flights in South America are generally quite expensive. The airline industry hasn’t been deregulated the same way it’s been elsewhere and there’s few to none budget carriers. I’ve mostly travelled around SA by bus. There are some luxury sleeper bus options that are quite nice. Rome2Rio.com is a good site for checking bus info, though they don’t have everything listed. Often the best way to find bus connections is to go to the bus station of a city – there’ll often be loads of ticket booths of tons of different companies, each with their own schedules. Thanks for the great article! My question is how did you travel between countries? I can’t seem to find any bus information that will get me from one country to another. I looked at flights and they seems really expensive. A flight from Rio to Quito is more expensive than my flight from Canada to Rio! Am I missing something? I’ve just saved your guide as my husband and I are planning to travel around South America for three months. I am Brazilian but definitely need to know the neighbours better! Thank you or taking your time to put this together! as a hitchhiking and camping backpacker the rankings get distorted. Pretty much free in Argentina and Chile, Peru and Bolivia not as easy to hitch or camp but prices stupidly cheap…Cusco dorms with breakfast as of Nov 2017 @ 5$ a night. Brazil is challenging requiring patience and perseverance. At the start you say that the average monthly cost is $1000, however when you add up the daily budgets of each countries the monthly cost comes out around $1300-$2000 a month????? Also is all travel and activities included in any of the budgets?? I noticed no mention of visa expenses in countries like Bolivia or Brazil? Yes it’s definitely something to keep in mind. I haven’t listed these costs though as they can be totally different depending on your nationality. Americans tend to have to pay a lot for example, EU citizens usually get in for free… it all depends. This article was BEYOND helpful! Thank you so much for all the details and time you have taken to give accurate recommendations! This is very helpful! 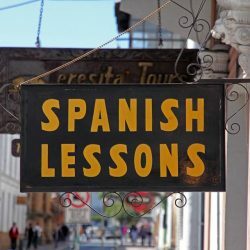 How did you get information about the best way to deal with money in Argentina? Honestly the situation with Argentina changes quite a bit. I learned most info from hostel staff and other travellers as I got nearer. While living here for 5 months, the cheapest tickets for Easter Island i found was $325, so ( unfortunally ) not even close to the $121 – i wished though. But your calculation for daily living when arrived seems accurate. Hey Karina – thanks for sharing this. The automatic conversion plugin I use on this page seems to have put the decimal in the wrong place for that 18.000 pesos! I’ve corrected it to say it’s about $30 (not $3). Great question, though I’m not sure if or how it might affects things to be honest. Either being a gringo puts you in a kind of bubble, or being a gringo makes you way more of a target – you could picture this working both ways. I don’t know if race or racism is a factor… most Central American countries for instance have both hispanic and black populations (esp on the Atlantic coasts). I imagine that safety is more about your behaviour and whether you take unnecessary risks though. I’ll hazard a guess and say it’s safe whoever you are as long as you travel sensibly. The Argentinian prices are way off by now, it is not a cheap country to travel anymore. Right now for example empanadas are 12-25 pesos, Big Mac Combo is 120 pesos, Restaurants start around 150 pesos, and a pizza is 160-200 pesos. 80 pesos for a pint of beer. A semi-cama bus from Cordoba to Buenos Aires is 780 pesos. The Argentinian economy is notoriously volatile. Thanks for the update – I really need to do a revision of this post! (update) Entrance to Iguazú National Park is now 260 pesos for Argentine citizens, 400 pesos for citizens of Mercosur countries (Brazil, Uruguay, Chile, etc) and 500 pesos for all other foreign visitors. A bus from Buenos Aires to Puerto Iguazú is at around 1800 pesos. Depending on when you are travelling and when you book, airfare could be cheaper than that (specially in the low season). I’m planning visit Ecuador, you have a guide from there? Sadly I’ve yet to visit Ecuador. It’s high on the list for when I return! This is really great! We’re planning a 3-4 months trip next year to South America, and were looking for a realistic budget estimation. So this will help us a lot, thanks so much !!! :) Will save your article for further analysis:)) Cheers! Hi Marek, we traveled through Latin America for 13 months. I thought you might find my overview of South America interesting. We spent $3881 in 275 days (over 8 months) so an average budget of $14.11 each per day. Great write-up, will be helpful as I leave Argentina and head to other countries down here. One thing I’ll say is I haven’t found any sort of 2 or 3 course meal in Buenos Aires that’s anywhere close to the prices you have listed. Inflation is the real deal here. Thanks for sharing that info Ryan. This post was last updated half a year ago but things change so fast in Argentina! Will need to take a fresh look at all the prices sometime soon. Your post was very enlightening! I had no idea that there could be so much of a difference between the traveling costs within South America. This does change my plans a little bit! Thanks for the post! Were you including hostel prices in the daily budget or is that separate? Hi thanks for such an awesome article! I am planning my own backpacking trip now and was planning on starting Oct/Nov for 6 months. Do you have any suggestions on a route in the best weather conditions (as I’d like to travel lightly)? I like taking my time and definitely want to include Machu Picchu and other adventures. My start date is flexible and I’d like to make the most of every country. Thank you! Thanks for sharing your reviews! Your articles are great. Cheers! Hmm, the prices are converted automatically by a plugin, which is clearly malfunctioning at the moment. Will look into it! Great write-up, Marek! When I visited Peru and Bolivia, the biggest expense was definitely the tours I joined. Food, accommodation and transportation weren’t overwhelmingly expensive, but some of the activities like the Inca Trail… so pricey! I was in South America in July last year and I think you should maybe revise the map now? Argentina is getting so expensive(Inflation rate was almost 30-35% for two consecutive years). And may be $$$$ for Argentina. For Argentina it’s advisable to carry $ in cash. One can get almost double the money in grey market. I got an exchange rate of 8 pesos from the bank and 14 pesos in the grey market! The grey/blue rate is sadly no longer applicable in Argentina as of Dec 2015. Since the government lifted currency controls the grey market rate and official rate synced up. Hey Marek, I read about it in the news sometime ago. But I have couple of friends in BA. They said it’s still possible! Poor governance may be ?! Just checked a bust trip from BA to Puerto Iguazu costs like 1400 pesos. It was 1100 pesos in July2015. But they gave me a discount of roughly 22% when I bought the ticket at counter in cash. Do update it soon, it’s the first in google search results. Cheers! Hey, I’m probably being dumb here but are you including the accommodation in the daily costs? I’m planning my first female solo trip to south and central America in October. Ps.I’ll be flying from London.I’ve heard flights to Mexico,Panama are quite cheap to start with.. The Colombian peso plummeted in 2015. It lost 40 % of its value. So if you travel Colombia right now is a bargain if you come from a country with euros or usd. I am planning to go to Chile later this year so it is really refreshing to hear Chile can be done on a budget! just doubling checking the prices you listed were in US dollars? I’m currently in the process of planning my first two week backpacking adventure to South American. I’m considering Peru or Bolivia. Do you have any suggestions for routes or “must see’s” in either of these countries? Also, I’ll be going solo. I’d stick to the south of Peru only as this combines well with Bolivia. Most people going on this kind of trip want to see Machu Picchu and the Uyuni salt flats. To save time it might be worth taking a domestic flight from Lima (assuming this is where you land) to Cusco. From there you could go to Arequipa, lake Titicaca, La Paz, maybe Sucre and then Uyuni. Thanks for the article. 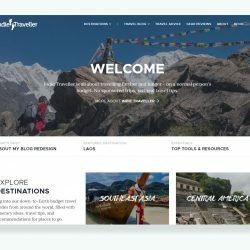 Do the daily backpacker budgets include the hostel cost? I should have made that more clear; it’s meant to cover all daily expenses including the hostel cost. I’m just about to leave Venezuela after two exceptionally amazing months! I planned on 4 weeks, but just couldn’t fit everything in… and I’m still leaving having missed out on a few adventures. Black market exchange rate is currently 760 to 800Bvs to £1.00…. 80 times the official bank rate, and almost 4 times the Venezuelan exchange bank rates…. I have spent $300 in two months. I have Couchsurfed and made great friends. I have been on fantastic tours and excursions, including paragliding for for £10.00!!! Unbelievable! Keep posting, love the website. Thanks for sharing your great guide. I think many people will be amazed you spent just $6 a day each! You talk about exchanging on the Black market… can you tell me a bit more about this as I am travelling to Argentina at the end of May and have no clue how to access the ‘Black Market’. Awesome break down! This is great and will come in handy for my 2015 RTW trip. Make friends with locals, the blue market in Argentina isn’t quite as extraordinary as the black market in Venezuela. Speak with locals you’ll soon find out how to access the blue market rate. Make sure you’re carrying US dollars.